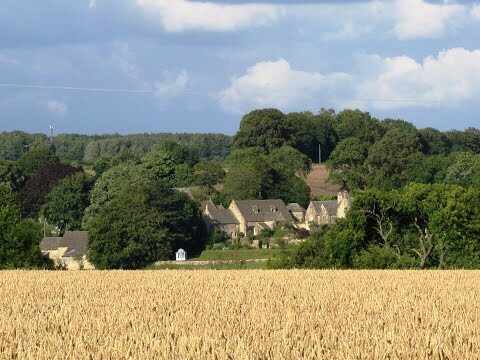 Miserden a lovely village located 4 miles east of Stroud and also close to Gloucester, Cirencester and Cheltenham, lies in the Cotswolds at 800 feet above the valley of the River Frome. The village consists of attractive stone cottages, the majority with Cotswolds stone roofs, St Andrews Church, a village hall, a Primary School, a Post Office and Shop and a pub, the Carpenters Arms. Miserden Castle was built in the 12th century by Robert Musard and was used in the battle and siege scenes in “Brother Cadfael’s Penance by Ellis Peters. Miserden Estate which covers almost 3,000 acres and includes the majority of the village of Miserden has been owned by the Wills family since 1913. The estate has a history going back many hundreds of years and the 17th century Manor House at the heart of the estate stands high overlooking the beautiful valley. Miserden Park Gardens also set high above the valley is an unspoilt garden with wonderful views across the former deer park to extensive woodland beyond. It was created in the 17th century and still retains a wonderful sense of peace and tranquillity. The gardens of Miserden Park are open to the public from April to October and Miserden Nursery is open from March to October. The Carpenters Arms, originally a carpenters shop, is a traditional 17th century Cotswolds pub. It became a pub about 100 years ago and still retains a 5 foot ingle look open fire place, oak beams and pictures of Miserden on the walls. The village and the pub were recently used as a film set for the new production of Lauree Lee’s “A Cider with Rosie” which was shown on the BBC in September 2015. The pub was chosen for its traditional and unspoilt looks. Laurie Lee’s successful autobiographical novel “Cider with Rosie” in 1959 allowed him to become a full time independent writer. The novel is an account of his childhood in the village of Slad in the period soon after the First World War. In 1960 Laurie Lee returned to Slad, the much loved village of his childhood, with his wife after buying a cottage with the proceeds of the novel. He wrote two more follow up novels “As I Walked Out One Midsummer Morning” in 1969 and “A Moment of War” in 1991. He remained in Slad until he died in May 1997 at the age of 82 and is buried in the Holy Trinity Churchyard. “Cider with Rosie” continues to be one of the UK’s most popular books and is often used as a set English literature text for school children. Laurie Lee’s first love was always poetry but was only moderately successful as a poet. His first poem appeared in the Sunday Referee in 1934. Caudle Green and Brimpsfield are two very small attractive villages the latter housing the Church of St Michaels with lovely views and the site of an old castle. From the school we walk along the road past the shop to the shelter with the pub on the right. We turn left taking the no through road to the Nursery Gardens. We bear left through the gate and follow the tarmac track as it winds downhill. At the bottom we go through a gate and cross over a stream then start going uphill. When the track bends to the left we keep heading forward following the yellow arrow with the fence on our right to enter the wood by a gate. After a short way we turn left onto a tarmac track and soon cross a footbridge next to a ford. We head forwards then at a t-junction we turn left heading into the wood. When we reach a junction of paths we turn right and keep right steeply uphill. When the path splits we bear right following the yellow arrow. When we come to a wall and Calley Wood sign we cross over the stone stile in the wall, or you can go round it, into a field. We head forwards along the edge of the field with the wood on our right. At the corner we follow the yellow arrow bearing half left across the field. At the end of the hedge we turn left and head across the next field to Caudle Green. At the road we turn right through the village heading downhill past the telephone box and when the road splits we bear left downhill. We soon come to a y-junction, signposted Brimpsfield and Birdlip, we head forward following the road as it bends to the right. After about 100 yards we turn right onto a tarmac track. We pass a house on our left go over a stile, pass through a gate and bear left. We head forward along the little valley with the stream on our left. We cross over the stream and continue forwards in the valley bottom keeping the stream on our right. We go through a gate then turn right at the track, cross over the stream and bear left onto the track the stream is now on our left. When the track bends right we head straight forward still following the stream. We go through a gate and follow the yellow arrow bearing left. We head forward through a gate and continue forward following the yellow arrow until we come to some ponds on our right. After passing the first pond we turn right to cross over a footbridge. We bear left following the fence line and in the next field we go through a gate and keep heading forward downhill. We come out at a track which soon bears left we cross over the stream and turn right to follow a narrow path following the stream on our right. When the path bears left and starts to climb steeply we turn right keeping the stream on our right. After we’ve turned right we see the yellow arrow on a tree. When we come to a tree house we turn left away from the stream. We come to a track and some buildings we turn right and soon drop off the track following the yellow arrow. We come out at the road and turn left. We follow the road round the left hand bend then as it bends slightly to the right we turn left at the footpath sign. We cross the field then turn left into the churchyard for a look around and stop for a cup of tea. We then head back out the churchyard and turn left towards Brimpsfield village. Soon after passing a telephone box and a seat we turn right along the back road signposted The Knapp. We head forwards then take the footpath slightly to the right between the wall and the building. We head forwards cross over a track and keep heading forward on the bridleway with the Polo Club on our left. At the end of the Polo field we head forwards over the stile into the field. We continue forward into the wood come out into a field and back into the wood again. We keep heading forwards over a stile then bear slightly left. At the next gate we go through and cross straight over the road to continue on the bridleway. The bridleway soon forks and we turn left following the blue arrow. We keep following the track with the stream on our right through the valley bottom passing a footbridge on our right until we come to a gate. We go through the gate and turn immediate right. We follow the track still with the stream on our right. When we come to a pond on our right and the bridleway goes off to the right we head forward then bear left uphill at the fork and blue arrow. We start to go away from the stream now heading quite steeply uphill. At the top the path bears left but we keep heading forwards at the blue arrow and a sign saying Morecombe. We head forward with the wall on our right and the field on our left towards the trees in front of us. At the trees we turn right over the stone stile we cross near the begging of the walk. We retrace our steps down hill through the wood to the crossroads. We cross straight over heading downhill, cross over a stream and up the other side to pick up the track we started on. We now retrace our steps back to Miserden. This is a moderate walk on tarmac roads and tracks also on grass and stony paths and tracks through woods and fields. There are some moderate inclines and declines. Approx 9.6 miles allow 4 hours using OS Explorer Map 179, Gloucester, Cheltenham & Stroud. This walk is done anti-clockwise. Start point: Miserden village school. Miserden is near Stroud in the Cotswolds, Gloucestershire. From M5 take junction 11A onto the A417 towards Cirencester. At the roundabout at the end of the dual carriageway take the second exit. After a short way take the B4070 on the right through Birdlip. Continue for just over 2 miles then turn left at the Fostons Ash Inn. Keep left at the next junction through Whiteway. At t-junction keep ahead then bear left at the next junction to arrive at Miserden. The school is on the right. Parking: Free roadside parking in the village and also in the car park next to the school. There are no public toilets the nearest ones are at Stroud and Chalford. For refreshments in Miserden village there is a pub the Carpenters Arms and a small shop. Nearby on the B4070 there is the Fostons Ash Inn near Birdlip, the Royal George in Birdlip and the Golden Heart Inn at Nettleton near Brimpsfield.